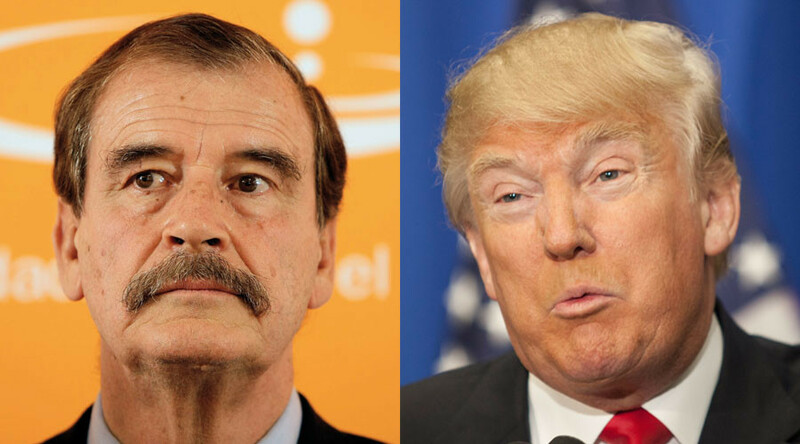 Former Mexican President Vicente Fox, buoyed by the support in his criticism of Donald Trump, went further and told CNN the frontrunner reminds him of Adolf Hitler. "Today, he's going to take that nation [US] back to the old days of conflict, war and everything. I mean, he reminds me of Hitler. That's the way he started speaking," Fox told CNN in a phone interview. "He has offended Mexico, Mexicans, [and] immigrants. He has offended the Pope. He has offended the Chinese. He's offended everybody," Fox told CNN in a phone interview. Vincent Fox, 73, served as Mexico's president from 2000 to 2006. Fox’s latest remarks come just a day after he lambasted Trump’s plan to make Mexico pay for a wall between the Mexico-US border. "I'm not going to pay for that f***ing wall," Fox said in an interview with Fusion's Jorge Ramos. Republican presidential front runner, Donald Trump bashed former Mexican President Vicente Fox Thursday on Twitter for using the "F-word" in declaring that this country would not build a wall at the U.S. border to stop illegal immigration. Fox told CNN he won’t apologize for that remark. It is not the first time a Hitler reference has been linked to Trump. A Vanity Fair expose from 1990 on Donald and Ivana Trump’s divorce said Ivana told her lawyer Michael Kennedy that her husband kept a collection of Hitler’s speeches in his bedside cabinet, and from time to time read them. The book was My New Order, containing Hitler’s speeches from his earliest days up to the Start of World War II in 1939. CNN also reported last month Anne Frank's stepsister accused Trump of "acting like another Hitler."